This is the perfect dress for romantic summer evenings. 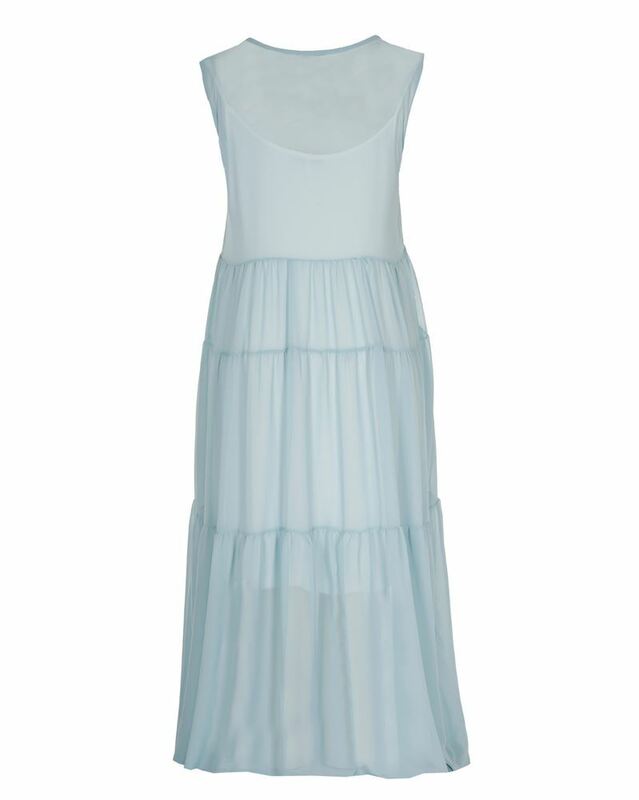 This Maxidress from textured and semi-sheer light blue georgette fabric is very feminin. The dress is very long, but the length can for example be adjusted with a thin belt (not included in the price) at the waist. Under the semi-sheer dress you can find a white underskirt untill the knees.